Cooking is time-consuming. Especially Paleo-cooking. Which is fine when you’re getting paid for it but if you’re not… well, then you’re probably interested in how to use your time in the kitchen efficiently while also getting the benefits (health, financial, and otherwise) of home cooked meals for yourself and your family. 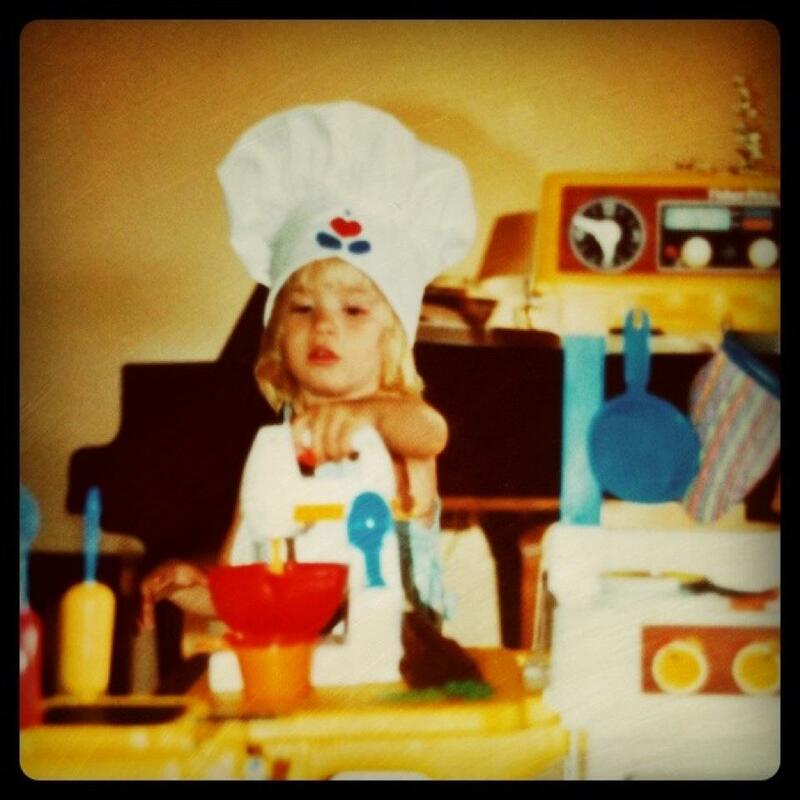 Some people hire out the cooking responsibilities… which is where I come in! Currently, I am working alongside a great chef and also wonderful friend in a business endeavor called EliteEATS. 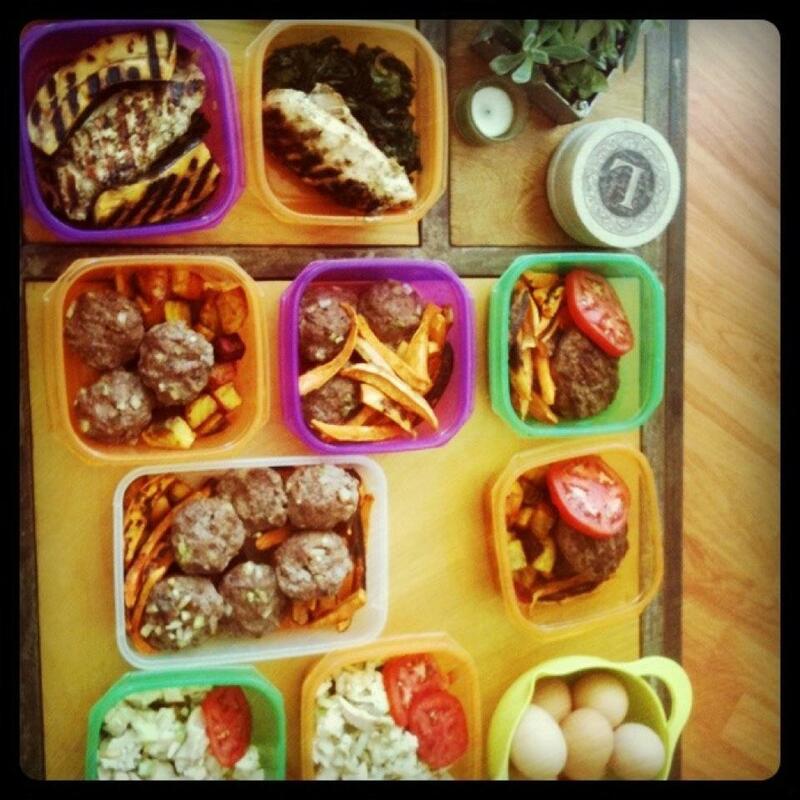 During the week, we prepare healthy and delicious paleo meals that are delivered to our clients at local crossfit gyms. It’s a wonderful arrangement! People in LA are crazy busy and they are also very health conscious. EliteEATS is a great way for people to have a “personal chef” experience for a fraction of the cost. Not only is it incredibly convenient, it also helps them reach their health and fitness goals without the burden of planning, counting calories, grocery shopping, or weighing and measuring. So, a couple of weeks ago I decided to give myself the same convenience. I became my own meal delivery service! In an attempt to streamline the amount of cooking and clean up that I do day in and day out, I made a week’s worth of meals for my husband and myself all in one day. It worked out so fabulously that I did it again this week! Look at all the pretty boxes! Here’s my method. Friday and Saturday are meal planning days (just depends on when I have time). I figure out 5 different meals to make for the week and I arrange them in order of their “keeping” ability. For example, Cobb Salad with Dairy-Free Ranch on Monday, Sweet Potato Soup for Friday. On Sunday I head to the butcher, the farmer’s market, and the grocery store for all the things I need to make all the recipes. On Monday (because I don’t really work Monday’s) I set aside 3 hours to cook all the meals. I make 4 servings of each recipe. It’s dinner one night and then the leftovers are lunch the next day! It’s so amazingly simple and the pay off is HUGE. It just takes a little forethought. If you can’t afford a personal chef or a meal delivery service, don’t sweat it! You can still be able to have healthy meals on hand during the week just by putting this system into practice. If you work during the week, then cook on a Saturday or Sunday! Here’s the menu for the past two weeks of my “experimental” service. I don’t have to do dishes for breakfast, lunch, and dinner every day. The dish pile is noticeably smaller these days with only the sheet pan or skillet I used to heat up the food (sometimes we just eat it cold) and the container for the food. My kitchen isn’t constantly a mess. Enuf said. I get to experiment with new dishes every Monday because I know that I am setting aside that time to make meals. There’s a lot of creative freedom in knowing that a particular time is dedicated specifically for a purpose and meal preparation is not squeezed between this chore and that errand. Having pre-made paleo meals makes it more difficult to make poor food choices. It’s also inspired some other habits that make for an easier week. I will make a bunch of hard-boiled eggs to have on hand for snacks or convenient breakfasts. If I make a frittata or some paleo muffins, I will make plenty and package them up so my husband has an easy breakfast for the mornings when he is at school. The benefits truly out weigh the costs of some easy menu planning, an hour of hunting and gathering the food (otherwise known as grocery shopping), and a few hours of meal prep in a day. Try it out and see if it makes your life easier!